Home>Is Online Learning Right for Me? “Is online learning right for me?” is the first question every potential student should ask before pursuing an online education. Consider: how well would it fit your circumstances and lifestyle? Think about an online course you’re considering, then circle an answer for each question and score as directed below. The students who tend to be most successful are self-directed and self-motivated in their learning and study habits. Answer honestly ­— no one will see this but you! High:­ I need it immediately for a specific goal. Moderate:­ I could take it on campus later or substitute another course. Low: It could be postponed. Puts things off until the last minute or doesn’t complete them. Within a few weeks, so I can review what I did. Within a few days, or I forget what I did. Right away, or I get very frustrated. More than enough for an on-campus course. The same as for a class held on campus. Less than for a class held on campus. Extremely difficult for me ­— I have commitments (work, family or personal) during times when classes are offered. A little difficult, but I can rearrange my priorities to allow for regular attendance on campus. Good:­ I usually understand the text without help. Average:­ I sometimes need help to understand the text. I am comfortable approaching an instructor to ask for clarification. I am uncomfortable approaching an instructor, but do it anyway. I never approach an instructor to admit I don’t understand something. Add 3 points for each “a” that you circled, 2 for each “b,” and 1 for each “c.” If you scored 20 or more, online learning is a real possibility for you. If you scored between 11 and 20, distance-learning courses may work for you, but you may need to make a few adjustments in your schedule and study habits to succeed. If you scored 10 or less, distance learning currently may not be the best alternative for you; talk to your advisor. Distance-learning students sometimes neglect their courses because of personal or professional circumstances. Having a compelling reason for taking the course helps motivate the student to stick with it. Some students prefer the independence of online learning; others find the independence uncomfortable and miss being part of the classroom experience. Distance-learning courses give students greater freedom of scheduling, but they can require more self-discipline than on-campus classes. Some people learn best by interacting with other students and instructors. Others learn better by listening, reading and reviewing on their own. Distance-learning courses provide less opportunity for group interaction than most on-campus courses. Distance learning requires you to work from written directions. It may take as long as two to three weeks to get comments back from your instructor in distance-learning classes. 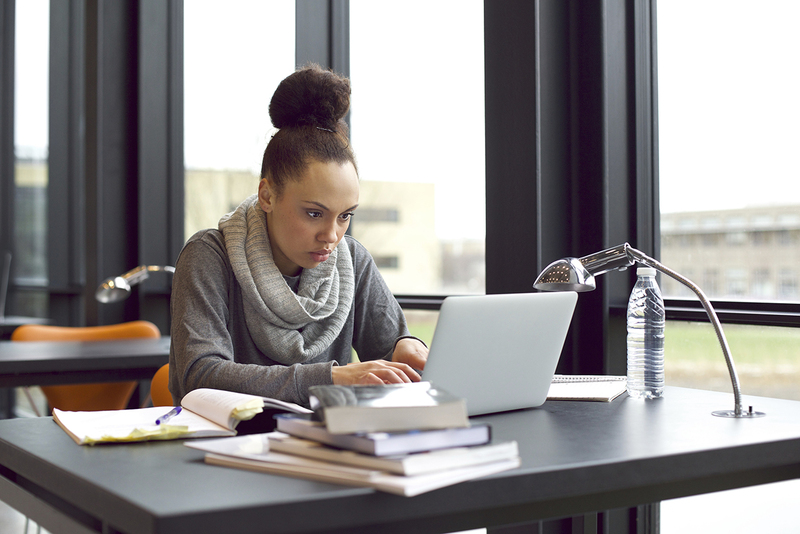 Distance learning requires at least as much time as on-campus courses. Students surveyed say that distance-learning courses are as hard or harder than on-campus courses. Most people who are successful with distance learning find it difficult to come to campus on a regular basis because of their work, family or personal schedules. Print materials are the primary source of directions and information in distance-learning courses. Students who do well with online learning are usually comfortable contacting the instructor as soon as they need help with the course.